Samsung patents can't be mentioned without Apple coming up in the same breath, but the Galaxy-maker trumped its Cupertino rival soundly in at least one way in 2012: Samsung acquired the most mobile patents and became the top mobile patent holder in the world. This despite - or possibly because of - its setbacks in its patent war with Apple, to the tune of billions in possible damages. Sure, Samsung didn't have a great year in the patent wars, but it also spent 2012 shoring up its defenses by snapping up mobile patents like a Hungry Hungry Hippo. After acquiring the most mobile patents of any company worldwide in 2012, according to research from mobile analyst Chetan Sharma, Samsung is now the world leader in mobile patents. ZTE announced last week that it ranked number one in patent applications for the second year in a row in 2012. But just because it applied for the most patents doesn't mean it has the most patents, and according to Chetan Sharma, that honor goes to Samsung - at least when it comes to mobile devices. 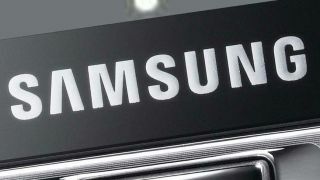 In a summary of his research into 2012, Sharma wrote, "Samsung has been fiercely building its patent portfolio in both Europe and the US and the efforts have paid off as it has built a significant portfolio and a formidable lead that is likely to serve it well in the coming years." Nokia previously held the most patents in the industry, but it fell down the rankings in 2012 along with Ericsson and Alcatel-Lucent. IBM and Microsoft went up in the rankings, while Motorola dropped out of the top 10, according to Sharma. Sony, Qualcomm, RIM (BlackBerry), and LG rounded out the top 10 mobile patent holders in 2012. The research examined more than 7 million mobile patents in the U.S. and Europe, the two biggest patent markets in the world. It found that the U.S. accounts for 72 percent of mobile patents between the two regions, while one fifth of the patents filed in the U.S. and one tenth of those filed in Europe are related to mobiles. In the U.S., at least, that number is up significantly, as less than 10 years ago less than 10 percent of total patents in the U.S. were mobile related. Interestingly, Sharma's research places ZTE near the bottom of the patent food chain, both in granted mobile patents and pending applications. So it appears that either someone at ZTE (or the World Intellectual Property Organization, who provided the data for ZTE's report) fudged some numbers, or Sharma's research is leaving something out of this picture. On the other hand it's not unusual for different research groups to reach slightly different conclusions. Either way, it can take years for patents to be awarded after application, so maybe in 2015 or so ZTE (a Chinese company) will usurp the Korean king, Samsung, in the never-ending patent wars.